This is a unique compilation of surface preparation principles and techniques for plastics, thermosets, elastomers, and metals bonding. With emphasis on the practical, it draws together in a single source technical principles of surface science and surface treatments technologies of plastics, elastomers, and metals. 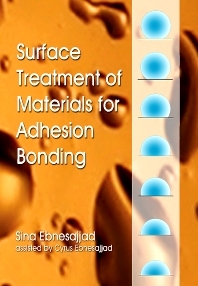 It is both a reference and a guide for engineers, scientists, practitioners of surface treatment, researchers, students, and others involved in materials adhesion and processing. This book describes and illustrates the surface preparations and operations that must be applied to a surface before acceptable adhesive bonding is achieved. It is meant to be a comprehensive overview, including more detailed explanation where necessary, in a continuous and logical progression. This book is intended to be a handbook for reference of surface treating processes. 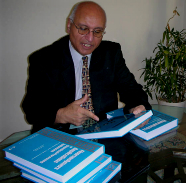 The more technical chapters can be bypassed to study the applied chapters. The text is accessible to readers with a college-level background in mathematics and chemistry, but an in-depth knowledge of adhesion technology is not required. Materials scientists, mechanical engineers, plastics engineers, scientists, practitioners of surface treatment, researchers, and students.